There are so many different ways to work out, exercise, and make healthy choices in DC near Chevy Chase. 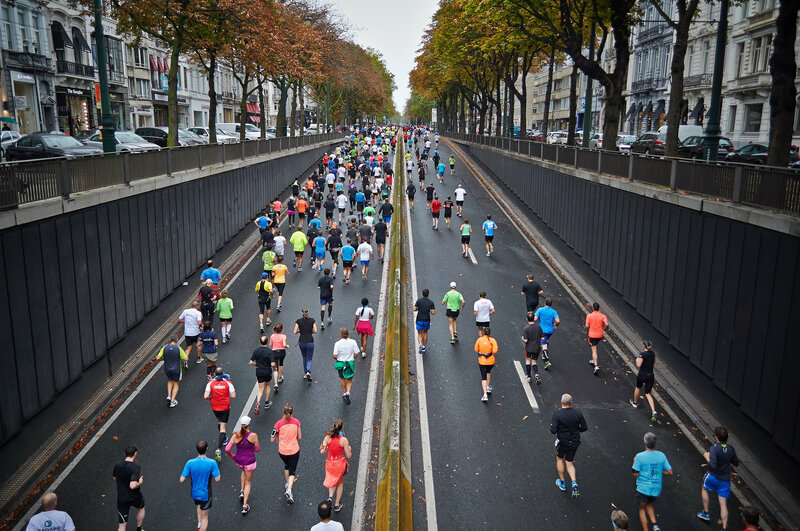 Organized runs are a great way to participate in a community event in the city while keeping up on those New Year’s resolutions we suggested a few months back. The good thing about signing up for an organized run is that it forces you to train and prepare for the big run date. This can be a big boost for your normal training and can help you get in more consistent training. Best of all, organized runs are fun! Here’s a list of some of the upcoming runs in DC for the month of April. Most of these serve to benefit various charities and causes. Get out there and have fun! Join the 4th annual 5k Caterpillar Crawl. Benefits go to Camp Kesem GW, which provides a free one-week summer camp program and year-round support for children of cancer patients. The run starts at George Washington University (Kogan Plaza) at 10 am. The Foam Glow 5K fun runs are taking the nation by storm. The event arrives in DC on April 9 and the race starts at night at 8:15 pm. Runners pass through different “Glow Zones” where the participants run through different colored non-toxic foam. The foam glows in the dark due many high intensity black lights placed throughout the course.This makes for an exciting, one-of-a-kind run experience for all ages. Proceeds go to help childhood cancer awareness through organizations like Children’s Miracle Network and Phoenix Children’s Hospital. Here’s another interesting one: The 2nd Annual Spring Strip clothing drive requires runners to pass through “Strip Stations”. These are checkpoints where the participant donates an article of clothing to American veterans. The donations go to the Purple Heart Foundation, where they will be distributed to Wounded Warriors. Participants are encouraged to layer up! The run begins at the Alexandria Aqueduct in Georgetown. The BEST Kids Superhero 5K & Kids Fun Run supports one-on-one youth mentoring as well as the child welfare system in DC. This is a kid and family friendly race—strollers are welcomed! The race uses Chronotrack timing technology embedded in the racer’s bib to keep time for awards and listing. You can donate to the cause, as well. DC Challenge is the nation’s largest urban scavenger-hunt-style race. Contestants sign up and run in teams through the DC streets trying to solve different challenges using clues different hints. Proper planning can make all the difference towards winning the $500 grand prize for first place. There’s also cash prizes for best costumes, so be sure to come decked out in your best outfits! This race has been described as “Amazing Race” in a day. After the race, participants can relax and enjoy a grand time with a festival, complete with music, food, and drink. So, lace up your shoes, get your training in, and join in on the fun this April with these fun 5K runs in DC! Participating in local community events is the best way to meet new people, donate to great causes, and experience more of the city you live in. If you’re interested in luxury living in Chevy Chase, one of DC’s premier neighborhoods, contact us today at 5333 Connecticut Ave. We have various floorplans, ultra-modern features, and top-flight amenities to suit your needs and tastes.